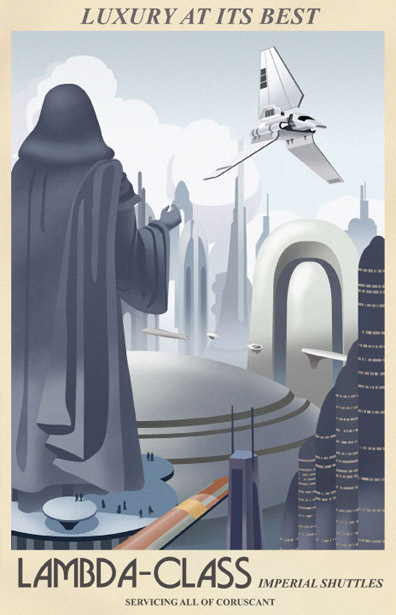 The second last Star Wars travel poster is up at AcmeArchivesDirect.com. It's of the planet the Emperor used to call home and captured at a time when a grand statue of him still watched over all. The hightlight of this poster is the Lambda-class Imperial shuttle. 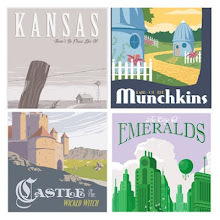 Wow this travel poster is incredible! seriously! release on May 1,2012.Are you ready?